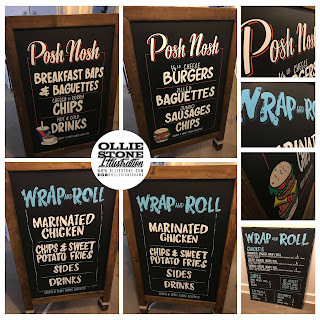 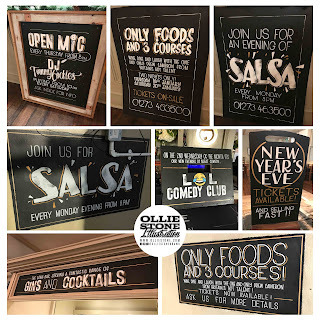 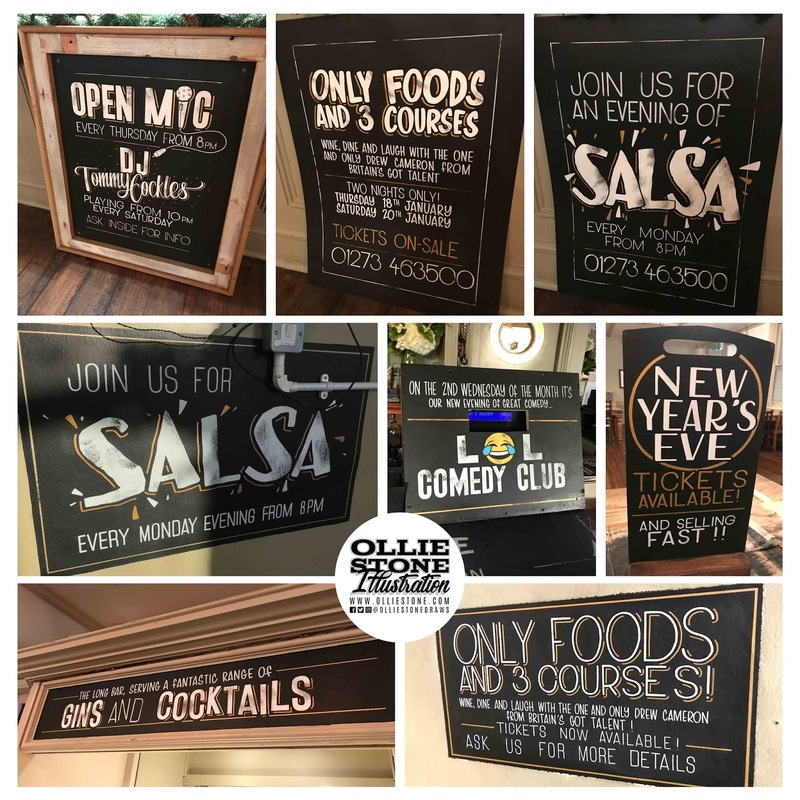 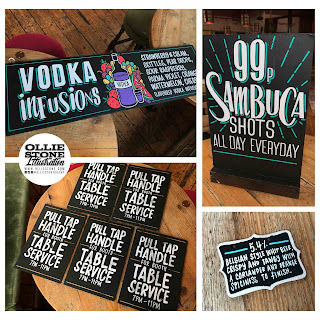 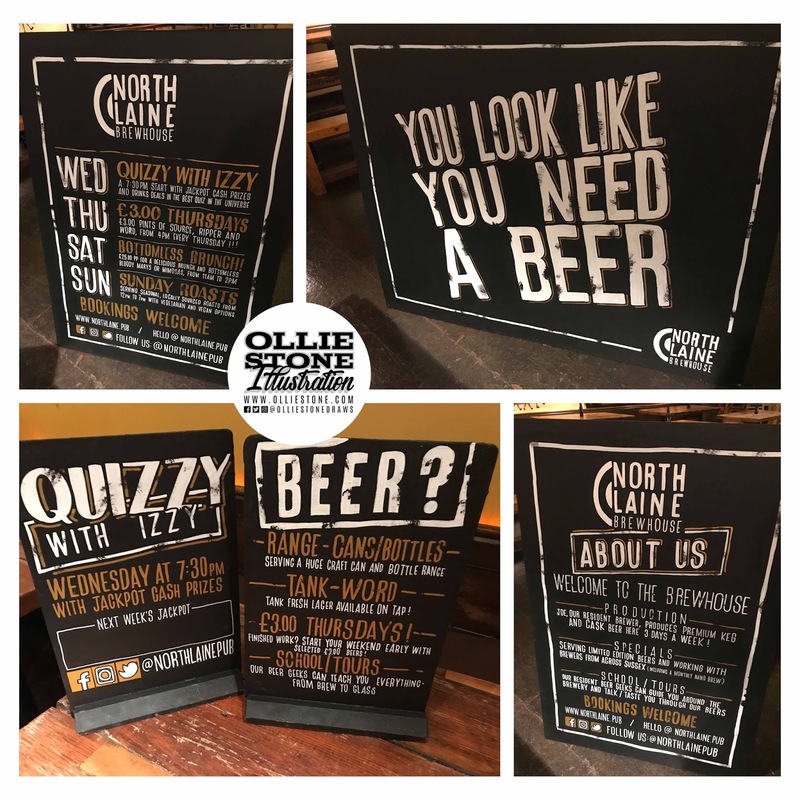 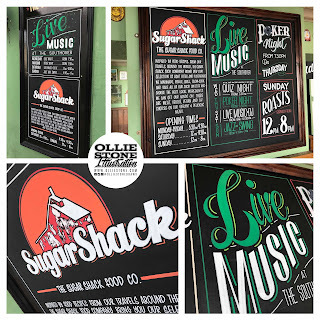 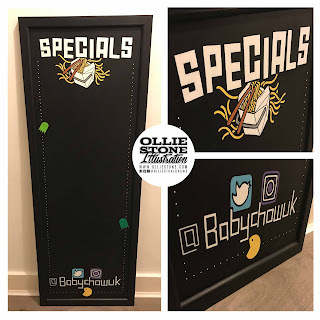 Sussex chalkboards, blackboards and bespoke signs. 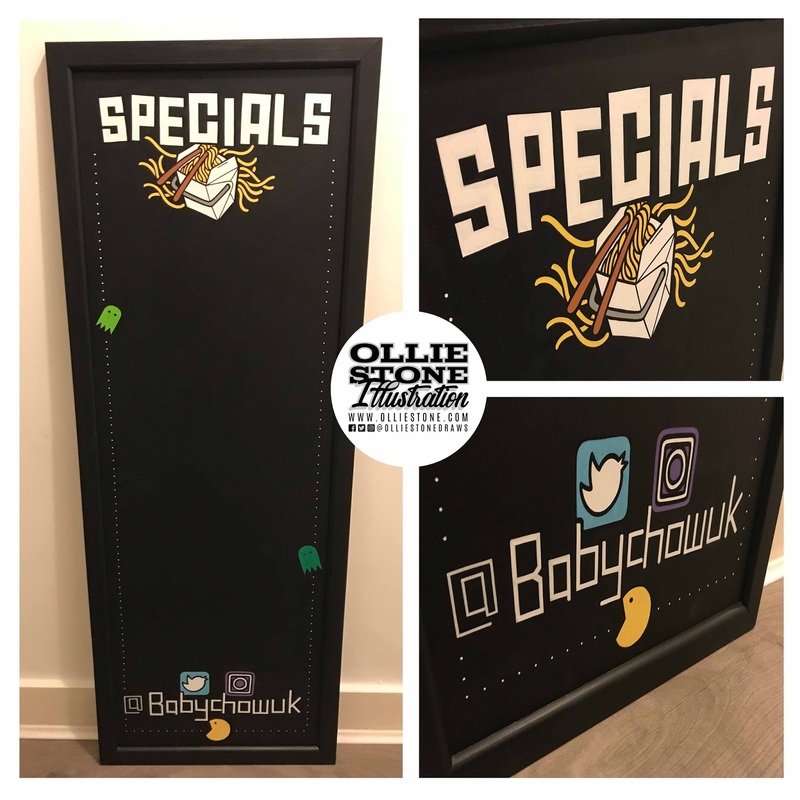 'Specials' chalkboard for Baby Chow, Brighton. 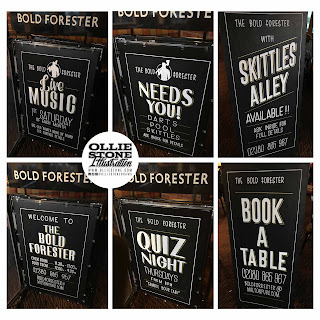 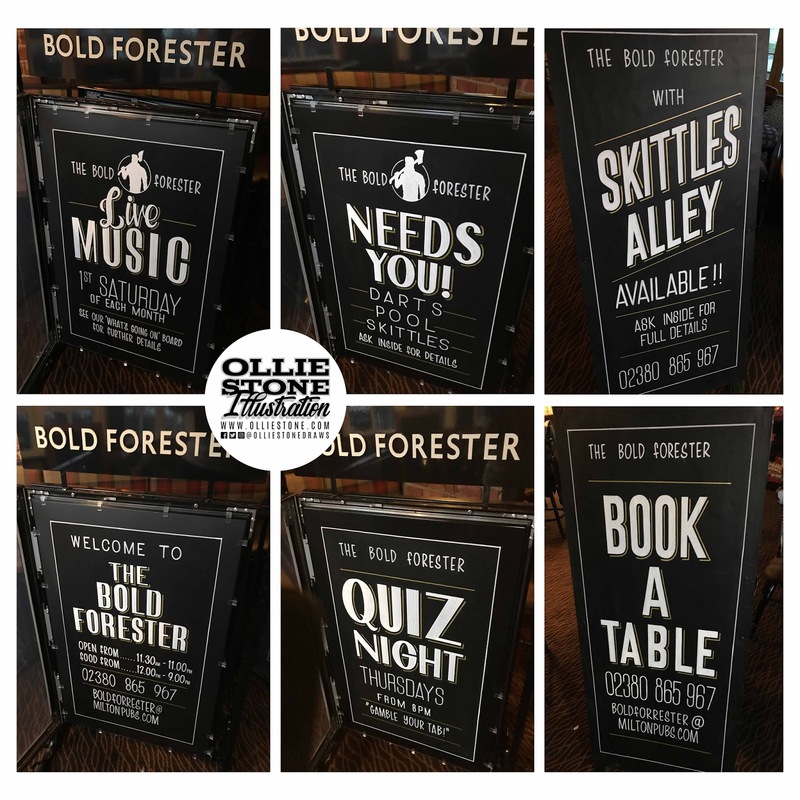 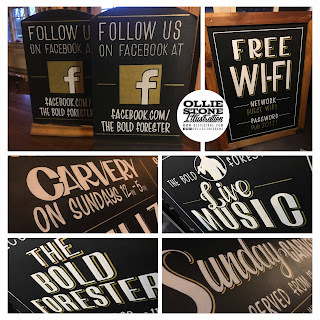 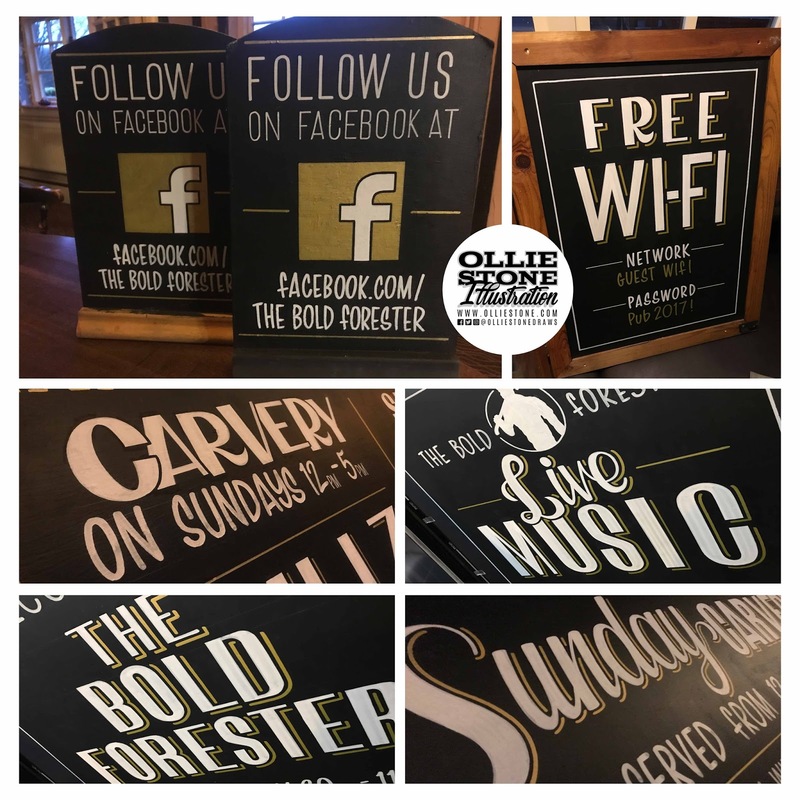 Chalkboard signage for The Bold Forester, Southampton. 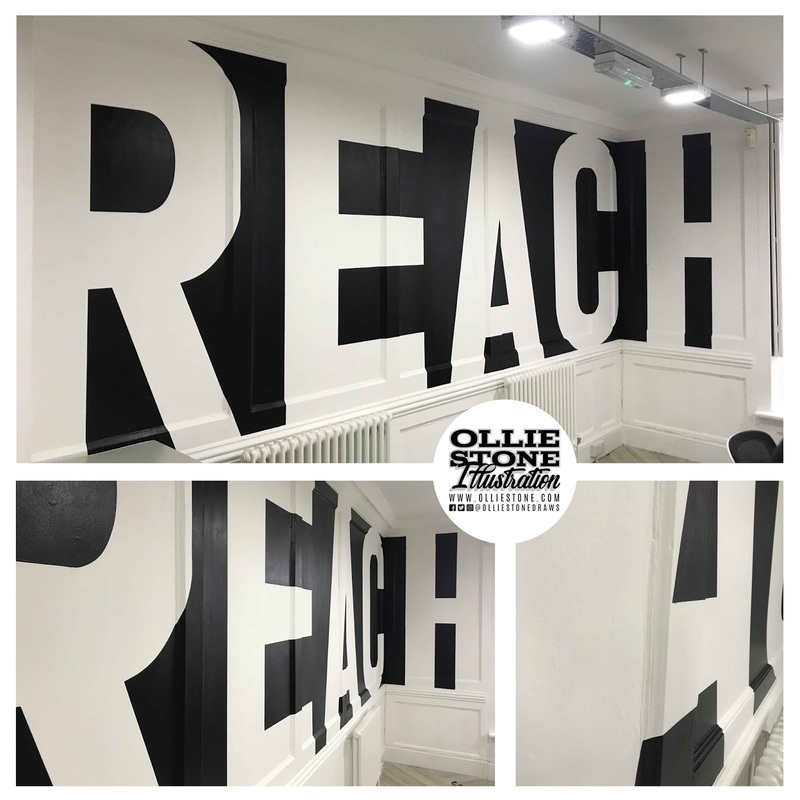 Wall mural for MPB, Brighton. 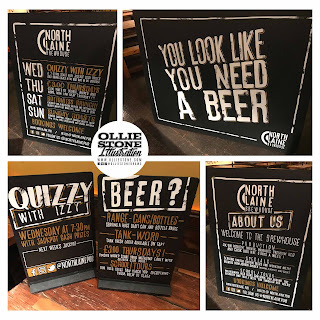 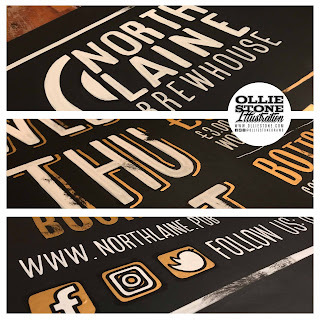 Chalkboard signage for The North Laine, Brighton. 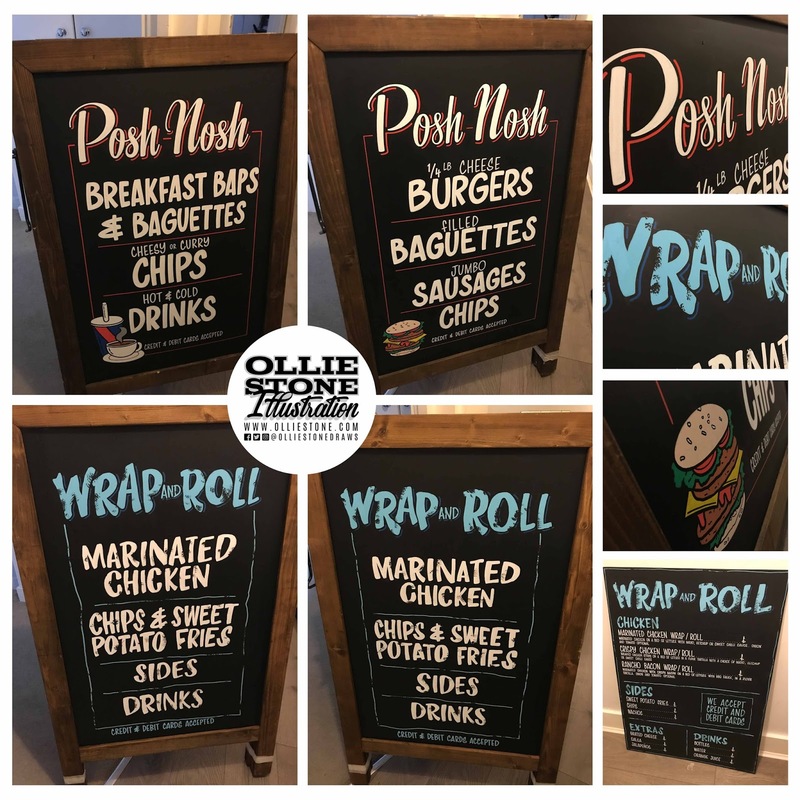 Chalkboard signage for Posh Nosh, Crawley. 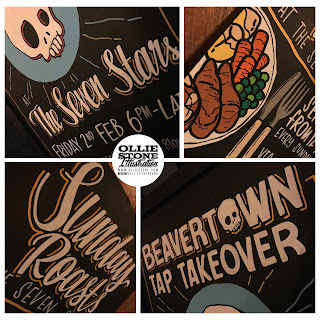 Chalkboard signage for The Seven Stars, Brighton. 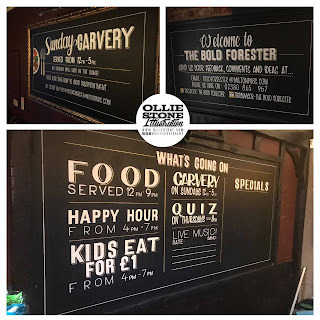 Chalkboard signage for The Southover, Brighton. 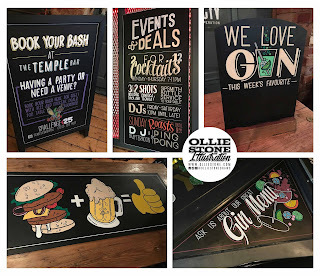 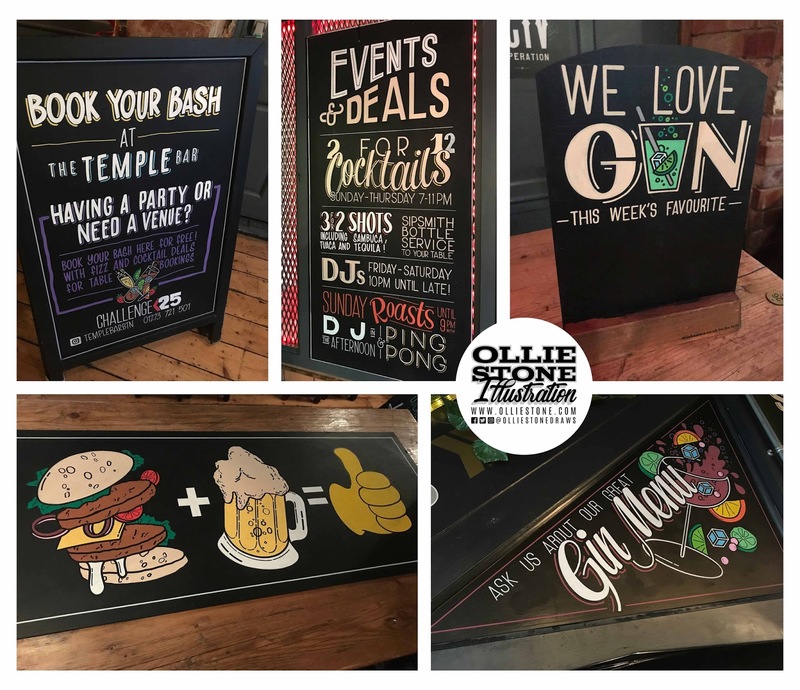 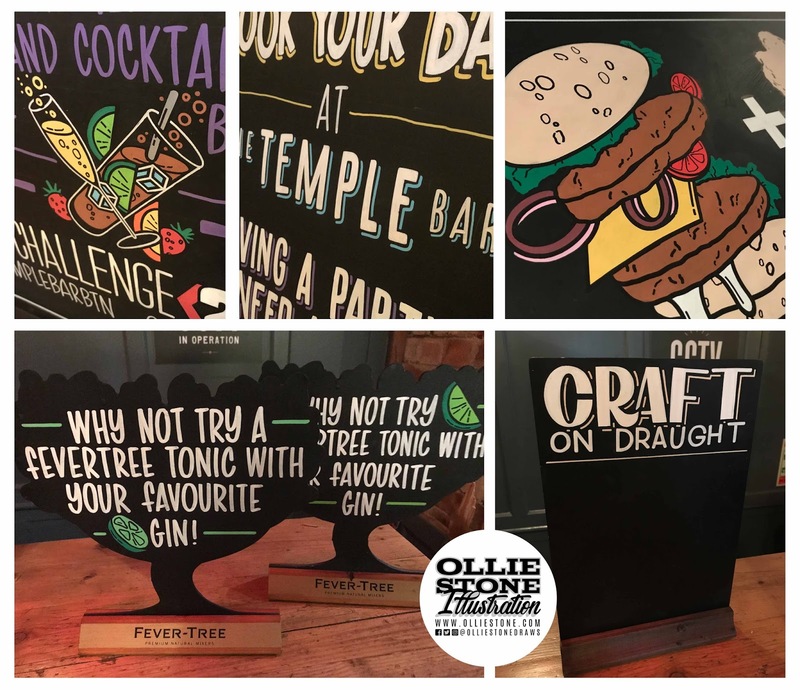 Chalkboard signage for The Temple Bar, Brighton. Hand-painted murals and signage - London, Brighton, South England. 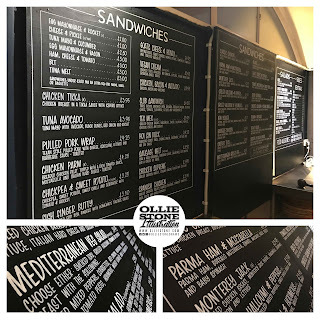 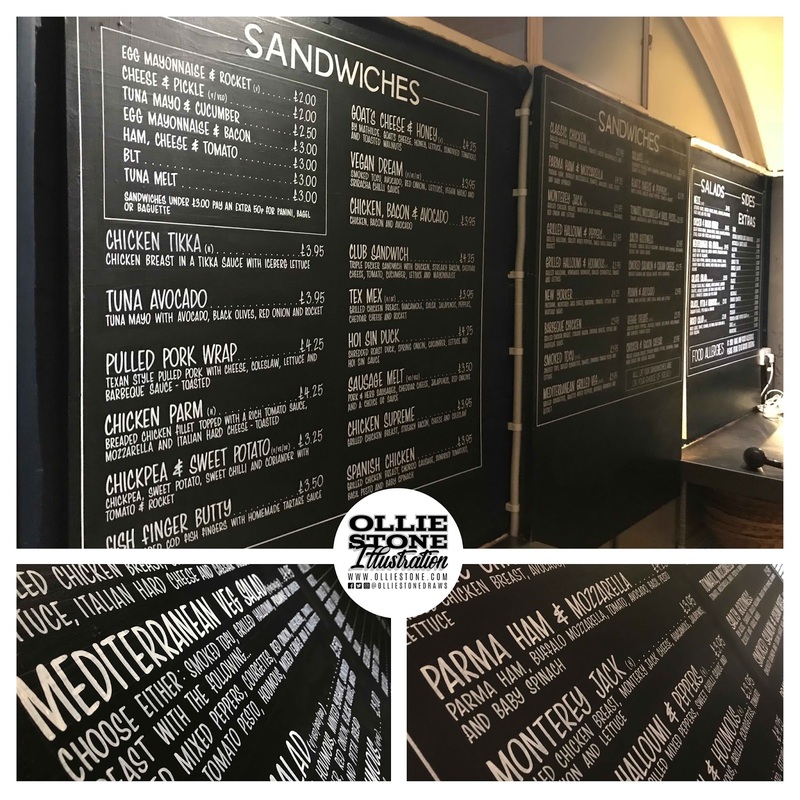 Hand-chalked menu boards for Blend Catering at the University of Sussex. 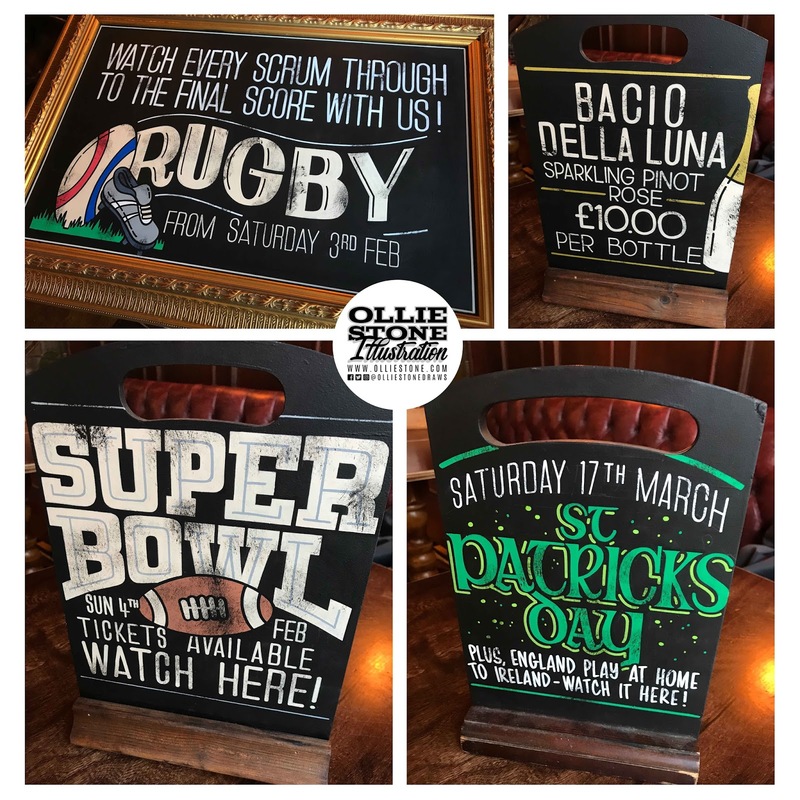 Hand-chalked signage for The Crown & Anchor, Shoreham. 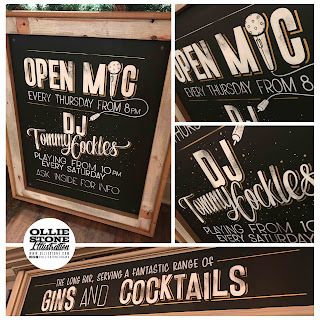 Hand-chalked signage for The Hobgoblin and The Hare & Hounds, Brighton. Hand-painted mural for MPB, Brighton. 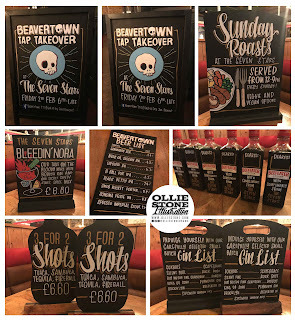 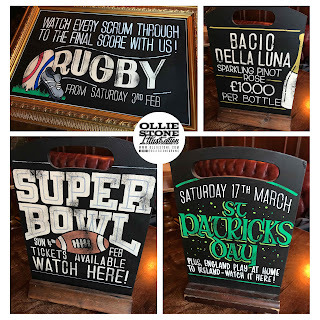 Hand-painted chalkboards for The Seven Stars, Brighton. 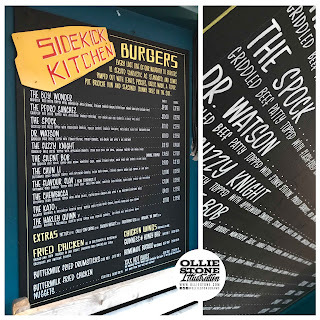 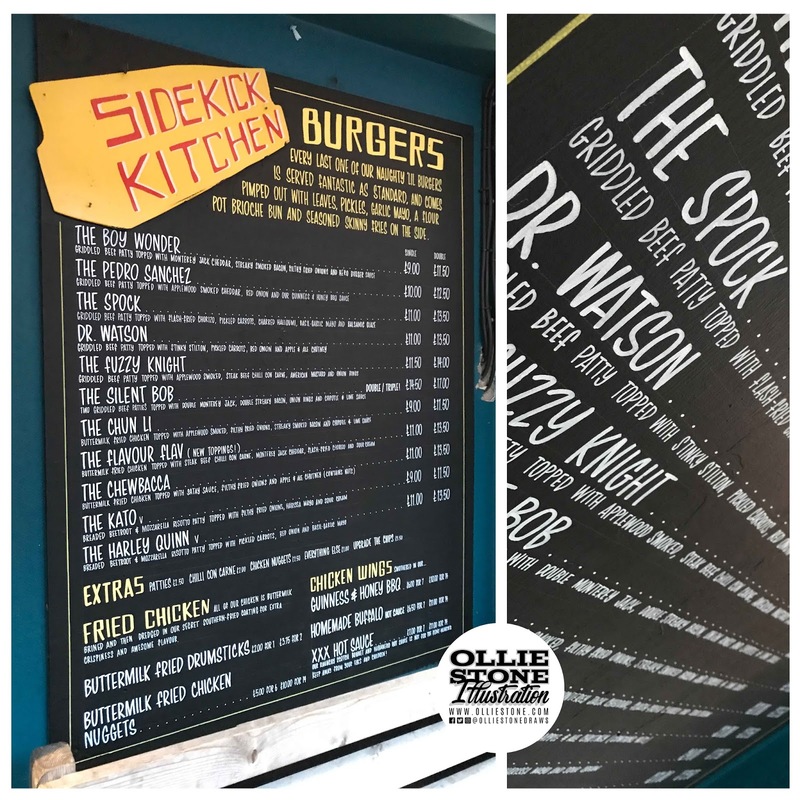 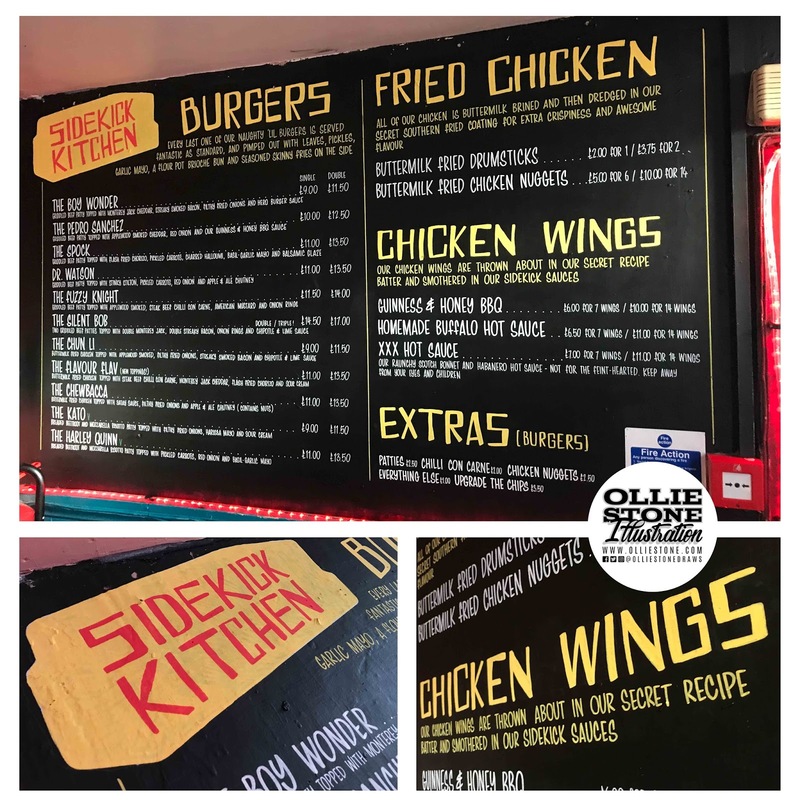 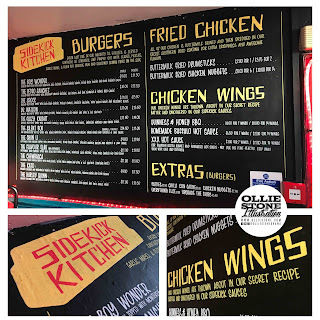 Hand-chalked menu boards for Sidekick Kitchen, Brighton. 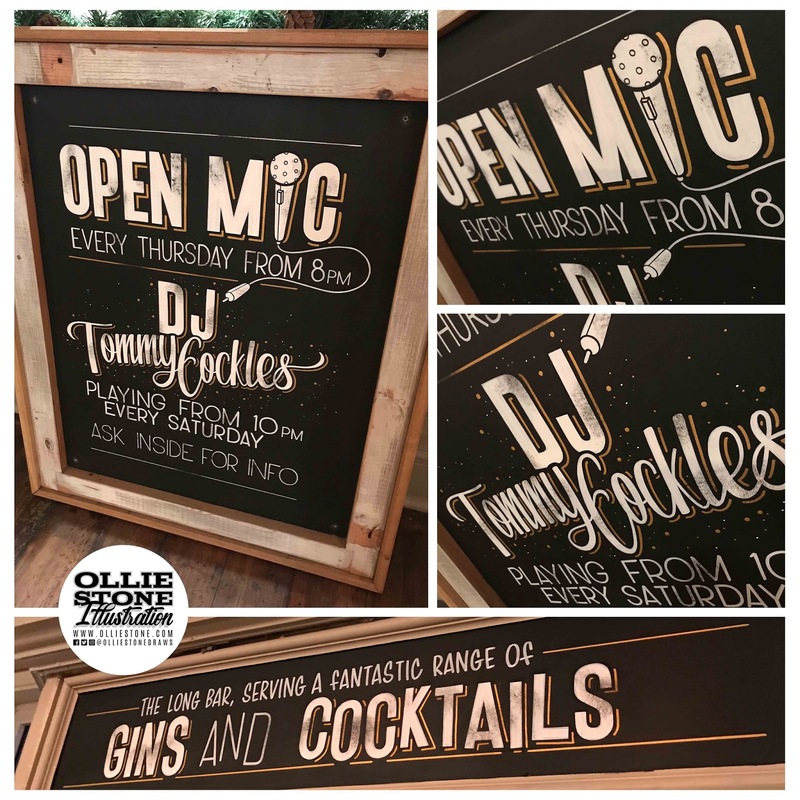 Hand-painted chalkboards for The Sussex Arms, Brighton.